DAVID LE/Staff photo. 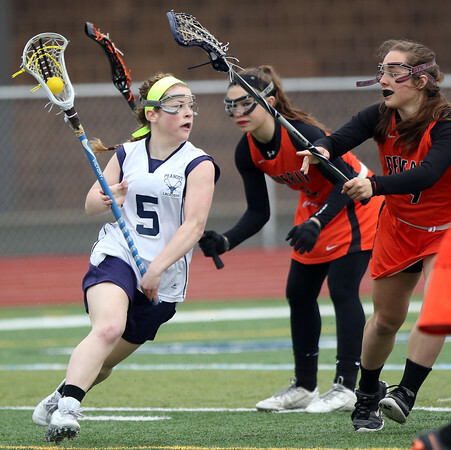 Peabody midfielder Lauren Wolff (5) tries to break through the Beverly defense. 4/12/16.